If you're a beauty vlog watcher, you'll be familiar with Kimberly Clark, inventor of the anti-haul. The concept being she makes a video, featuring new ish beauty collections, products or trends and says why she won't buy them. Quick disclaimer: This is not me trying to act all superior, look at what I'm not buying etc. It's just products I'm not personally excited by or feel like I must buy. As with anything, this is just my opinion. Urban Decay Naked Heat Palette: Unpopular opinion time, Urban Decay isn't really a brand that excites me. Their setting sprays are great, the Naked basics are alright matte shadows but their much-hyped, Naked palettes are just unappealing to me. I used to have Naked 2 but have since parted with it because it just gathered dust. Anyway, Naked Heat. I have no gripes with the colours. In fact I think they're lovely but it's the packaging. I cannot stand their clunky, bulky packaging. You'd think they'd improve upon it. Not a fan. Jeffree Star (anything): I feel like the first three products on this list will be controversial but not so much as this. I know loads of people love Jeffree Star but after seeing some of his videos and watching Stephanie Nicole's video on the controversy I was really put off him. Again, this is just a personal opinion. It amazes me that people do still buy his products. I don't even know if they're good or not but just his ethics and personality are problematic enough to make me not want to contribute to his bank account. Benefit Hoola Lite: I've swatched this on counter, thinking it'd be great but on my skintone it disappears. I did actually want this so I was quite disappointed to find it was too pale, even for me. Perhaps it'd work as a lighter contour powder on my skintone but yeah, much hyped and not something I can make work for me. Or justify buying. Boo hiss. MAC Metallic Lipsticks: On a whim last year I purchased this. Do not ask me why, it was an out of character moment. Anyway, MAC have launched some metallic lipsticks recently. The eighties called, it wants its unflattering lipsticks back. Give me my vanilla neutrals any day haha. 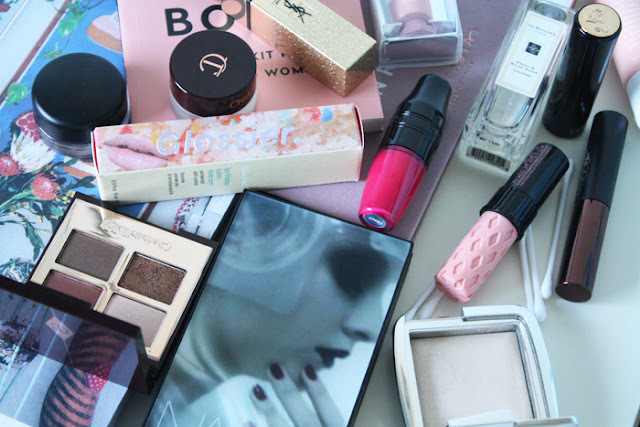 -What beauty products don't entice you?